First, you'll need to either edit an existing email template, create a new one, or duplicate an existing one. You can do that by going to Settings, and then going to Email. 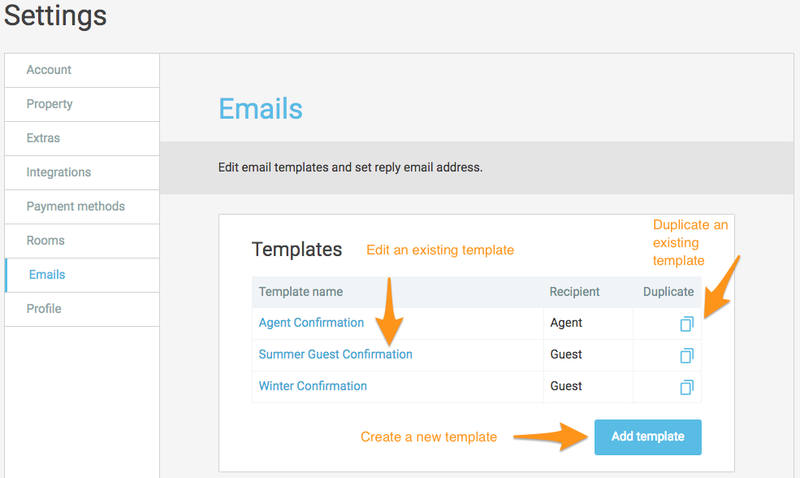 At the bottom of the email template, use the tag |* guest_receipt *| - you can also add this by clicking on the Insert Tag dropdown. Note: The text |* guest_receipt *| will not be shown to the guest, and attached to the booking will be a .PDF copy of the receipt at the time of sending. Make sure you test that the receipt looks good first by pressing Receipt on the booking page.